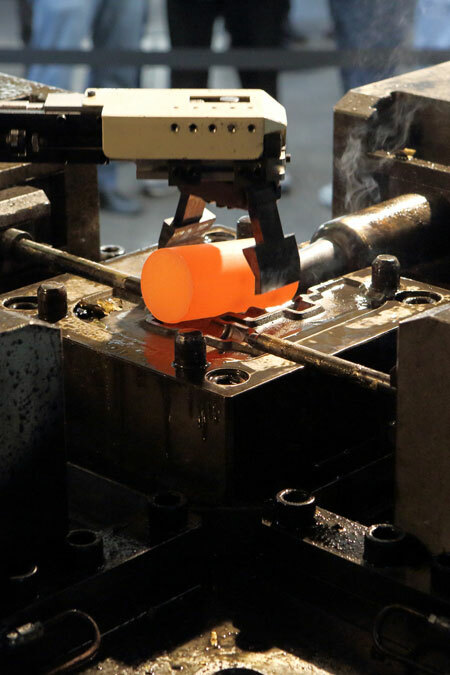 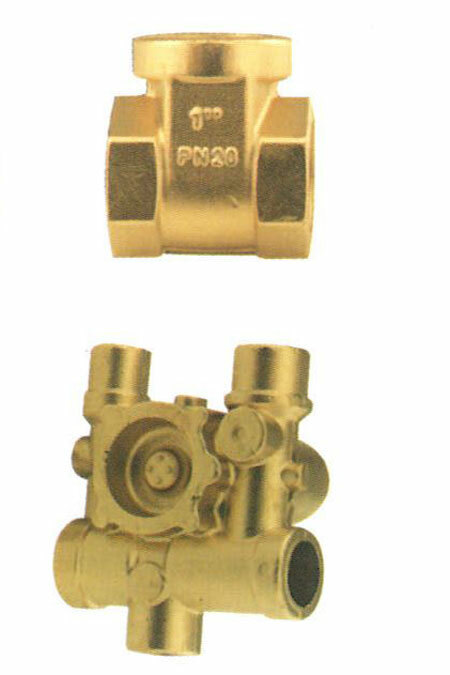 Hydromec was one of the first companies that introduced new technical solutions that changed hot brass and aluminium forging, which increased production rates and improved the quality of stamped pieces. 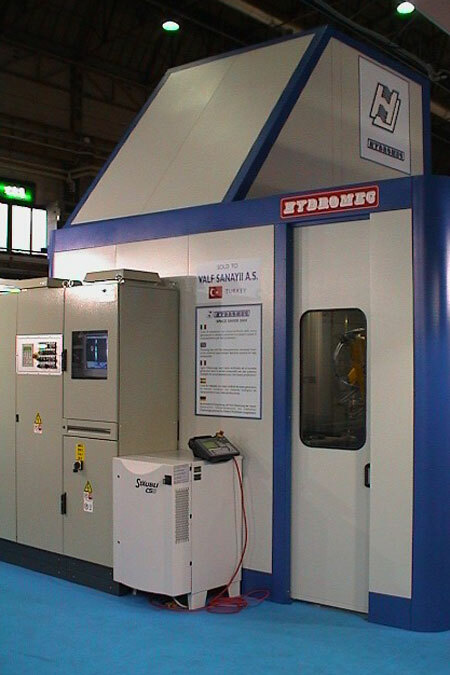 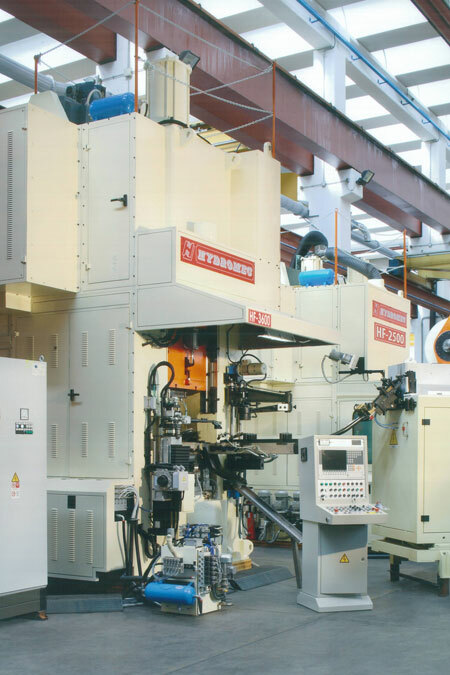 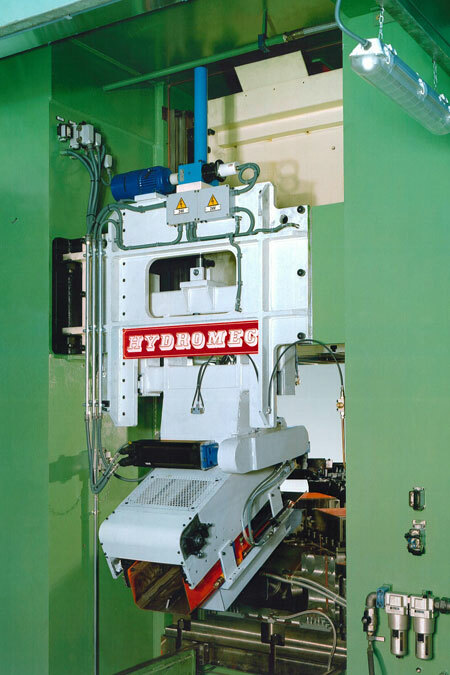 Electronic and programmable HF presses, provided with several patented solutions, are the most technologically developed you can have at the moment in hot brass and aluminium forging field and consent to realize automated and highly productive CNC programmable lines, thanks to electronically controlled loading and unloading automations and to ten Hydromec patented technical solutions. 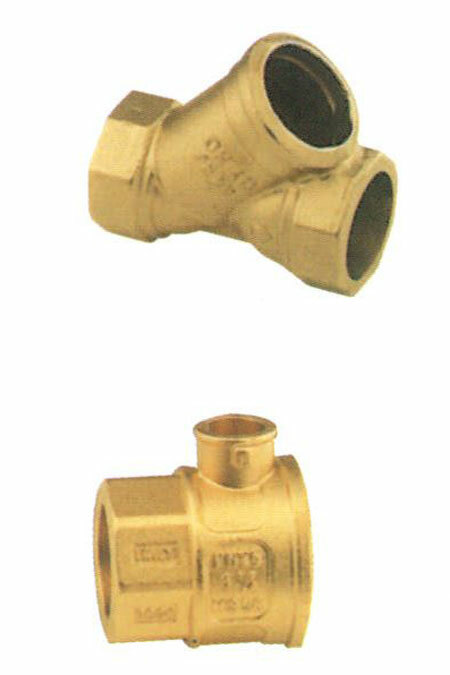 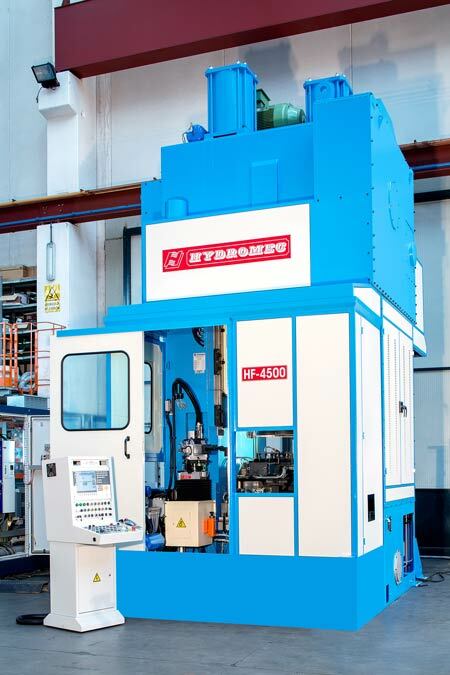 Already known and present in the world market in more than 500 units, they will now benefit of new design solutions, some of which have been patented in 2014, example given for the progressive hydraulic cushion, capable of doubling the die closing tonnage for the production of specially difficult and flash-less pieces. 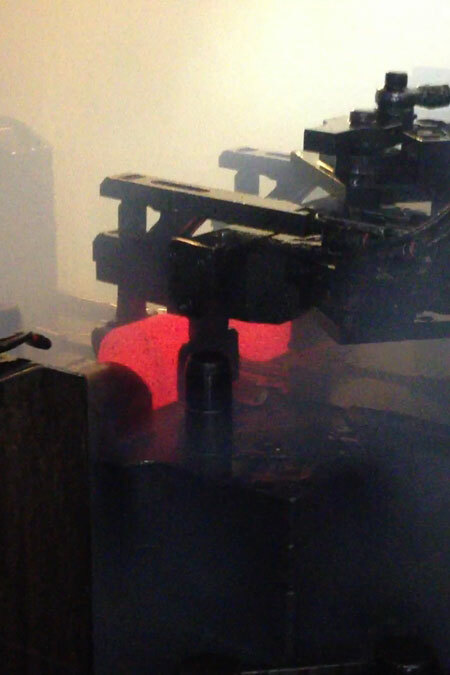 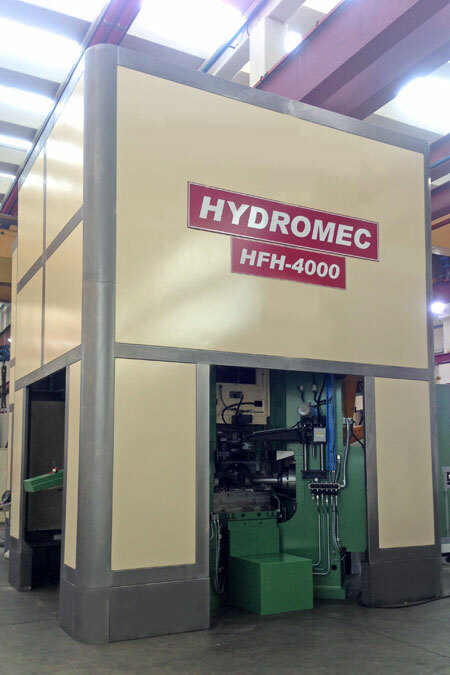 Hydromec is able to solve all the forging problems, owing to the different stamping sub presses. 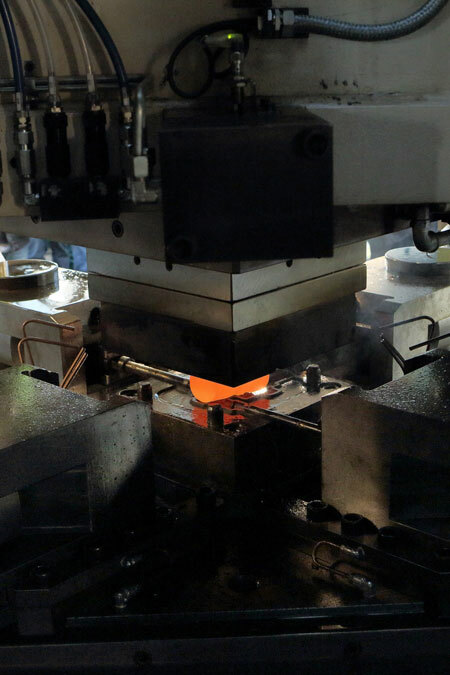 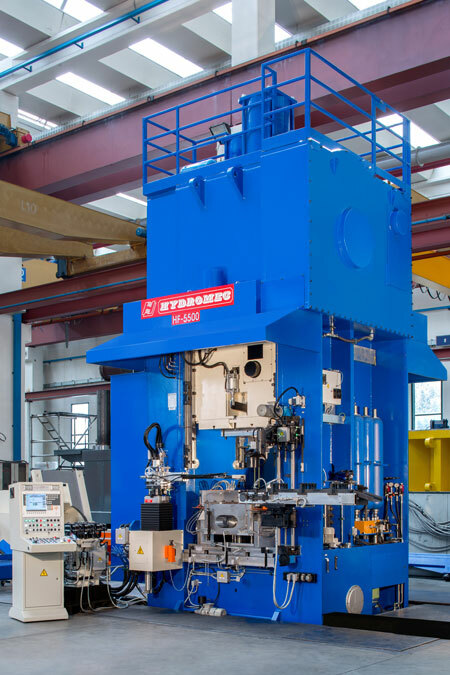 Hot forging presses for those alloys are built in a tonnage range from 2.000 kN up to 10.000 kN, in continuous or stroke by stroke cycle mode, according to the required kind of stamping and productivity. 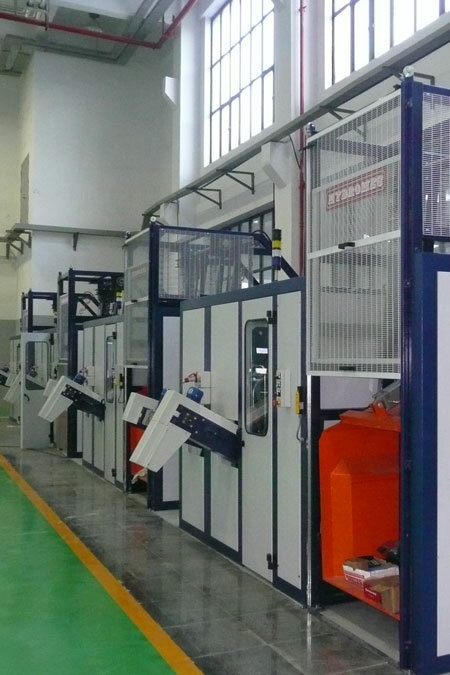 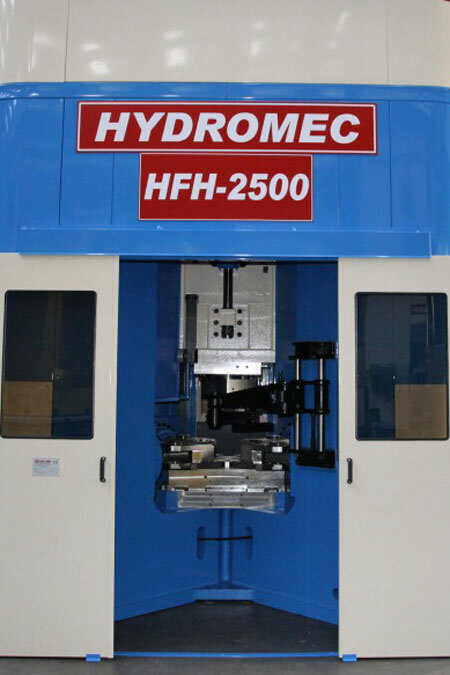 Besides the mechanical presses, a new patented Hydromec HFH hydraulic press has been added, for the hot forging of brass and aluminium items, designed with several innovations, among which the quick automatic change of the sub-presses and the possibility of obtaining lighter and flash-less pieces. 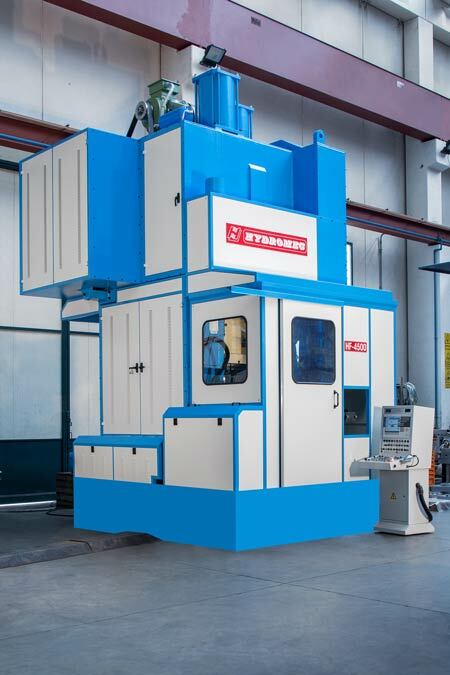 It can grant performances that would require a 100% higher capacity with a traditional mechanical press compared to the new Hydromec hydraulic press: as a matter of fact, the performances of the 400 ton model can be compared to a mechanical press of about a 800 ton capacity. 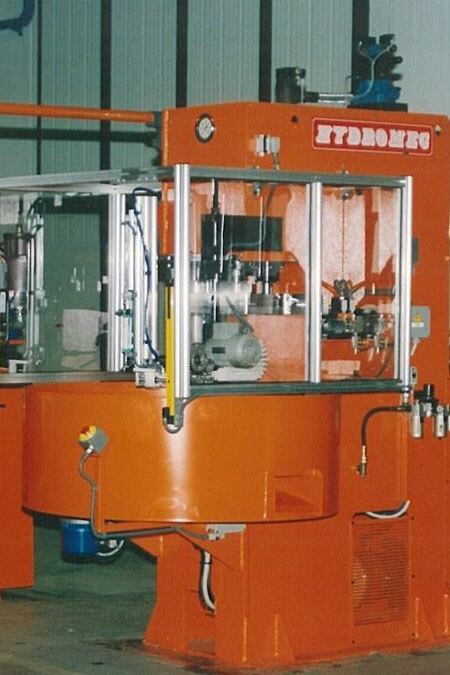 Technical solutions have been patented to reduce energy consumption, with the employment of oil quantities reduced to a fifth compared to the currently produced presses. 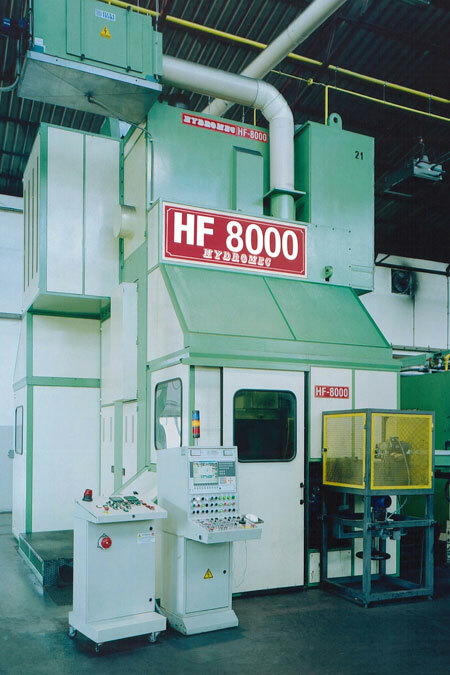 The hydraulic presses of the series HFA are designed within a range from 2.000 kN to 10.000 kN, to forge flat pieces, usually obtained on friction-screw presses, core-horizontal pieces by means of two-impression dies, with multiple orthogonal or angular punching, independent adjustments of strokes and forces, automatic sub-press change, lubrication and die cooling integrated in the system. 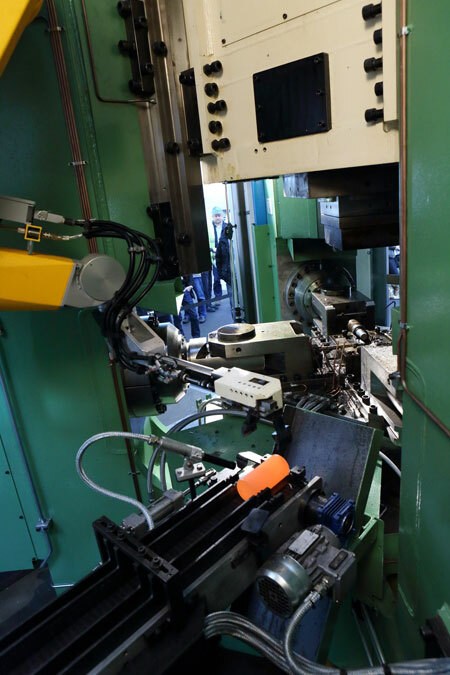 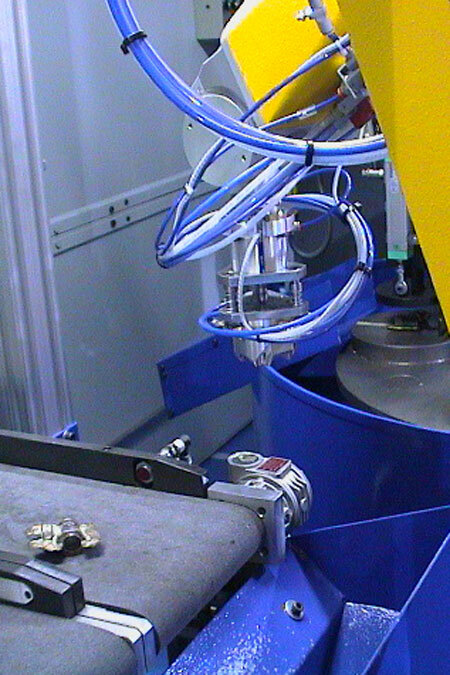 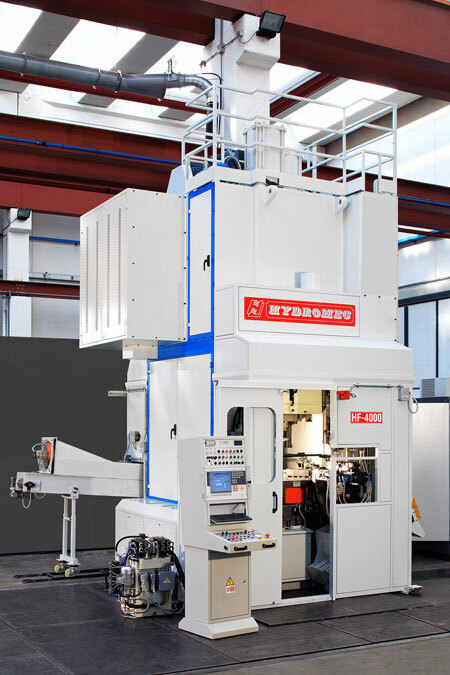 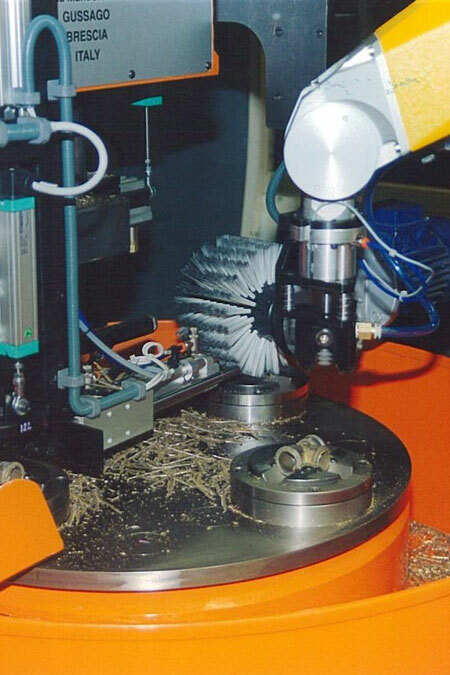 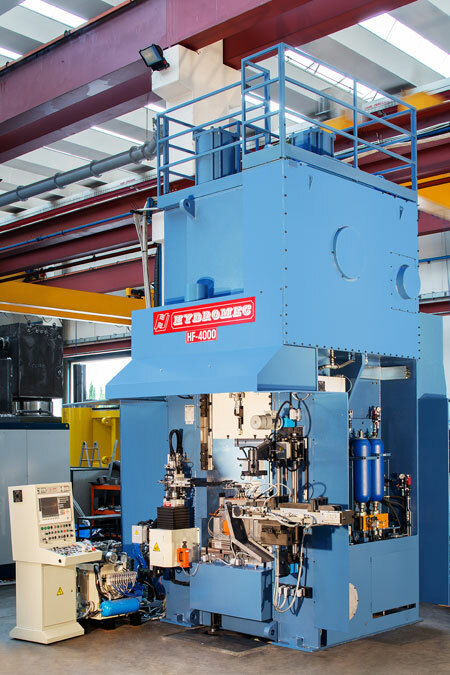 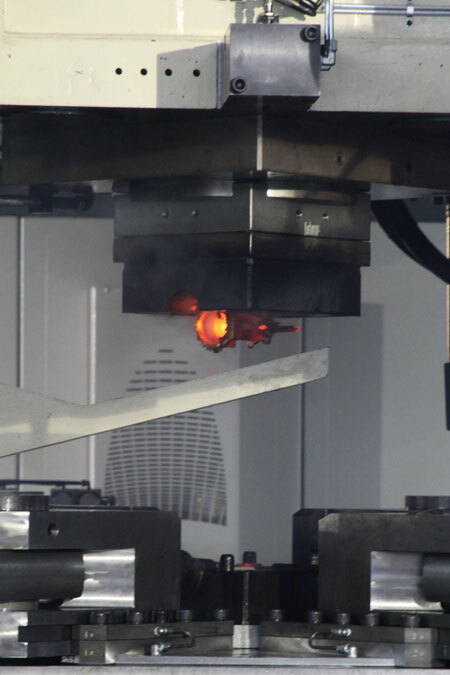 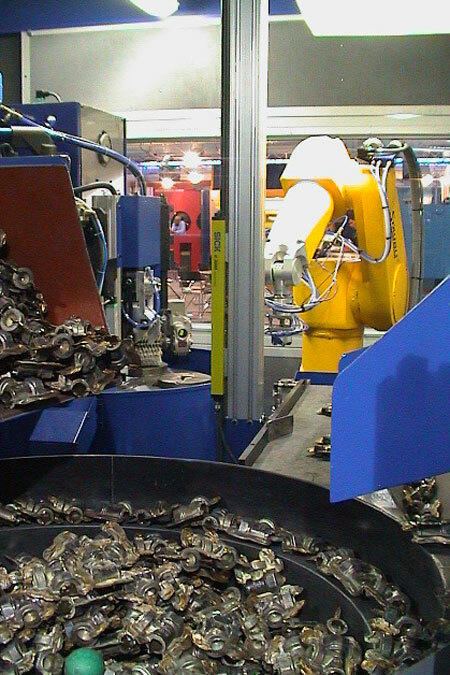 As a completion of the stamping operation, Hydromec produces rotary clipping presses to trim stamped pieces, which can be completed with vision systems and anthropomorphic robots to obtain fully automated lines.